Welcome to My Lovely Secret. 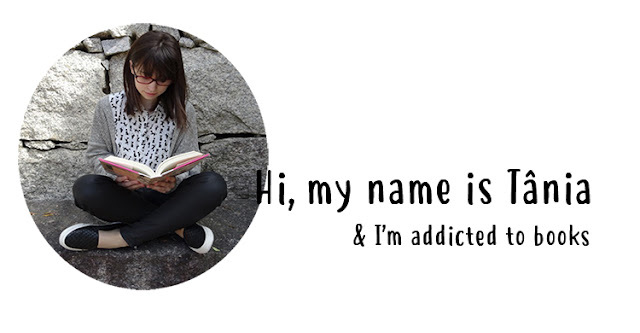 I'm a Portuguese blogger who loves to read a little bit too much (obviously). I needed a place where I could share my thoughts on book and fangirl about my favourite novels, characters and fictional crushes and that's how this blog came to be. I love fantasy, fairytale retellings, horror and dystopian books (both young adult and adult - however, I often read more young adult books than adult books). Once a while, I enjoy reading cute and fluffy contemporaries. 1. I'm a night-time reader. I do read during the day, but I'm not fond of meeting new worlds while the sun is up. I can't barely concentrate on the words! Night reading is so much better. I always try to squeeze some pages before actually sleeping. 2. For long time I didn't know which Hogwarts House I belonged to. Now, itt seems I'm a Gryffindor (believe me or not, I've been sorted into every single Hogwarts house; the last quiz told me I'm Hermione-like). I'm also a Thunderbird. 3. I'm obsessed with cats. I've adorable and evil kittens. 4. I suffer from book OCD. Folded pages and bent covers drive me crazy. 5. I'm addicted to TV series. How did I live before Netflix? Was there life before it? 6. I've a degree in English literature. And, I'm doing my masters in Anglo-American Studies, which means, I study/investigate books. Not as awesome as it may sound. It can take some fun from reading since you can be a lot more critical. 7. I dream of becoming a published writer. That's probably why I still don't know what I want to be when I grow up. You can find me on Twitter, Society6, Instagram, and Goodreads.